For a very long time now SEO experts have pointed out how meta descriptions are increasingly becoming less important when it comes to SEO. This is only a half truth however. Let me explain. Whilst it may be true that the effect they have on the ranking of your web pages has diminished over time, their importance remains paramount when it comes to your potential customers and clients clicking on your site and not your competitors. Here’s how with the aid (as always) of a little diagram. 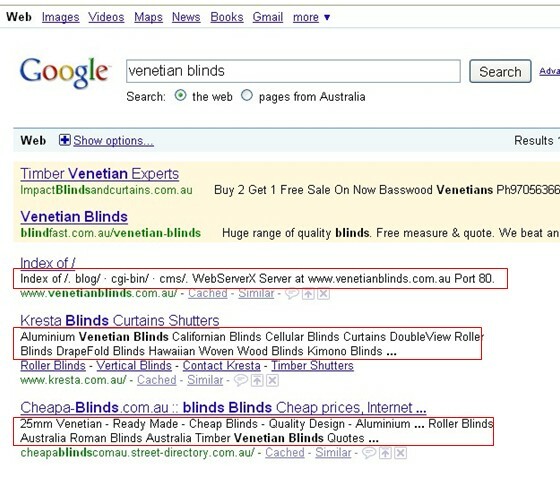 Take the following search for “venetian blinds” and think how you use the search engines. The meta descriptions are highlighted in red below and they are the main place to convey the benefits and features of your web content. But in this example they are not done well. I’m not enticed and I’m not compelled to act or visit their sites. In Google the ideal length for your meta descriptions is under 160 characters, Yahoo! displays up to 165, and MSN will display over 200. Any descriptions over the limit will be cut-off by the search engines, and will be replaced with “…”. So you need to make sure you convey your message within the limit. With Google dominating the search engine market it’s best practice to construct your website in line with Google. 2. What are the Core Benefits and Features of Your Web Page? The main purpose of your meta description is to be as informative as possible. 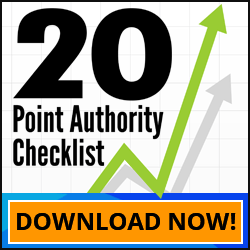 Powerful prose with the core benefits and features of your web page is essential. Don’t be too salesy in your approach. Whilst it is true that the importance of having your keywords in the meta description has diminished over the years as Google’s algorithm has changed it nevertheless is a must. 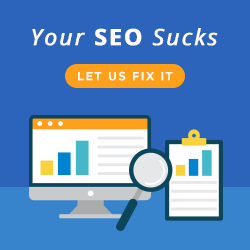 You have to be thorough and meticulous when it comes to SEO. Make sure that your meta descriptions incorporate your target keywords. This can have a significant impact on CTRs. Just like your title tags, make sure that each meta description is unique and accurately reflects the page content. Search engines can therefore find and rank each page of your site. Optimize one page for one primary keyword and make sure you feature it in your meta description. Proper meta description tags are still a critical component to effective search optimization. Give the browser a reason why they should choose your description over your competitor and then tell them to click your link. Mild aggression is not always a bad thing. People like to be told what to do. Concise, clinical, compelling with a strong call to action. This is hard hitting conveying bucket loads of information in such a small space. Good Luck With Your Meta Descriptions!